This examination is being given to one vacancy in the Behavioral Health Services department and to establish an eligible list to fill future vacancies. Resumes will not be accepted in lieu of an application. A completed application must be postmarked or received online by the final filing deadline. This position is assigned to Family Ties in the Substance Abuse Services Division of Behavioral Health Services. Family Ties is a comprehensive perinatal 28-bed residential program for pregnant and parenting women and their children. Childcare is provided on-site for children ages 0-5 while mothers attend treatment services and/or medical appointments.  The program serves San Joaquin County residents who are pregnant or parenting and are substance using, with children ages birth through seventeen years. It also includes women who are attempting to regain legal custody of their children, women with children, women infected with HIV/AIDS, as well as women with co-occurring disorders. This position requires availability to work rotating shifts, which includes days, evenings, weekends, and holidays. Plans and implements appropriate activities for infants and young children. Provides custodial care to infants and children, including changing, feeding, comforting, and assuring general well being; maintains sanitary and safe environment. Responds to inappropriate behavior by providing positive, appropriate disciplinary action to infants and children. Develops and maintains positive relationship with infants, children and their parents; acts as role model. Assists clients by providing support and/or referral in the home or community environment. May provide transportation for infants, children and clients for program required activities. License: A California Class C driver's license may be required by the nature of the assignment. Education: 12 units from an accredited college or university in child development including 3 units in infant care. Experience: One-year childcare experience in a licensed day care center or comparable group childcare program which included experience working with drug exposed infants and young children. Characteristics and special needs of substance exposed infants; principles of child development; issues related to substance abuse recovery; basic child care needs, practices, materials and hygiene; basic principles of child psychology and human behavior. Interact effectively and appropriately with infants and young children; work as a team member; relate to drug addicted clients; be non-judgmental toward clients; maintain confidentiality of clients and children; develop and maintain effective working relations with a wide variety of individuals; express self-effectively verbally and in writing; read and understand related written material; follow directions. Mobility-Standing, sitting, walking, occasional bending and squatting, crawling; Frequency of Lifting-Frequent lifting of 5 lbs. to 30 lbs; occasional lifting of 30 to 70 lbs. ; occasional restraining, lifting, turning heavy objects/people; Visual-Constant overall vision, frequent color perception, eye/hand coordination, depth perception, field of vision; some reading and close-up work; Dexterity-Constant holding, frequent reaching, grasping, occasional repetitive motion and writing; Hearing/Talking-Constant hearing normal speech, some hearing on telephone/radio; hearing faint sounds Emotional/Psychological Factors-Occasional emergency situations; occasional exposure to grief, trauma, death; occasional public contact; occasional decision making; working alone, working weekends/nights and overtime.